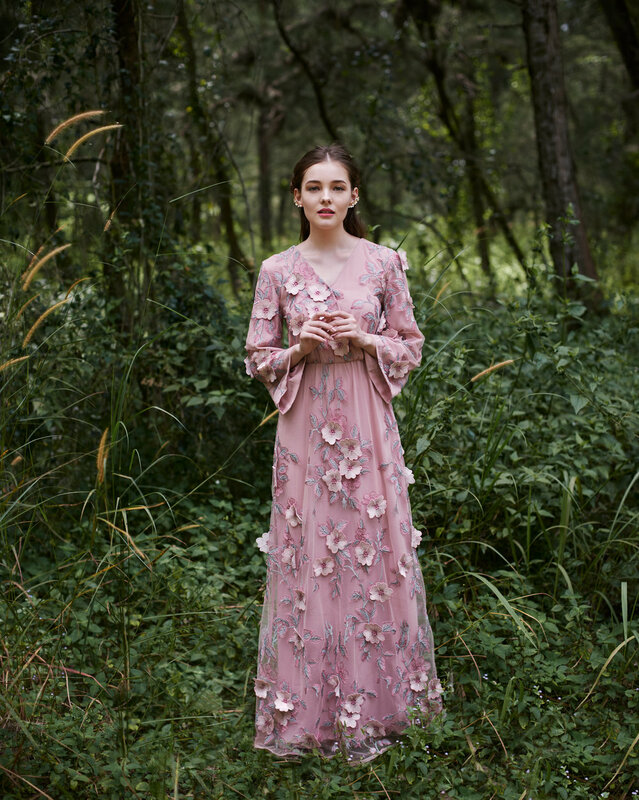 As Raya is just around the corner, ZALIA is presenting its 2017 Festive Collection ‘The Enchanted Forest’. The concept of the line is inspired from the natural forest elements relating it closely with leafy ferns, tangling vines, wild flowers and lush overgrown foliage. These natural elements are infused in each design pieces from the brand bringing a 3D like effect with stunning embellishments and printed patterns. From princess cut long dresses, peplum flares to mermaid skirts, any women will fall in love with this collection at first sight. With over 160 pieces available such as blouses, dresses, skirts and scarves, you will absolutely feel mesmerized with the ready-to-wear collection. Designed to suit every individual style, modern women can choose the pieces which matches their personal taste and flaunt it with confidence everywhere they go. The pieces are designed to enhance your silhouette while still maintaining a modest yet classy style to it. Play mix match the blouses and skirts from the ZALIA collection to coordinate the perfect outfit. Stun the people around you and step out feeling gorgeous from head-to-toe. Even hijabistas can join in the fun by styling the wonderful headscarves to match with their ensembles. Carry an air of elegance with festive notes donning the hijab from ZALIA and be the star of attention.